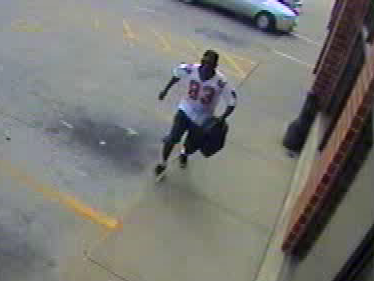 The Coralville Police Department is asking for assistance in identifying the male pictured in the photos below. 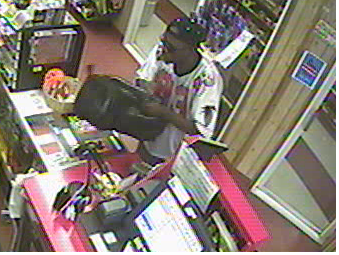 He is wanted for questioning regarding a robbery from Tobacco Outlet, 2411 2nd St, on 06/14/2016 (C16001903). 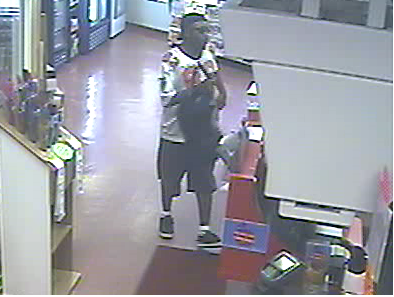 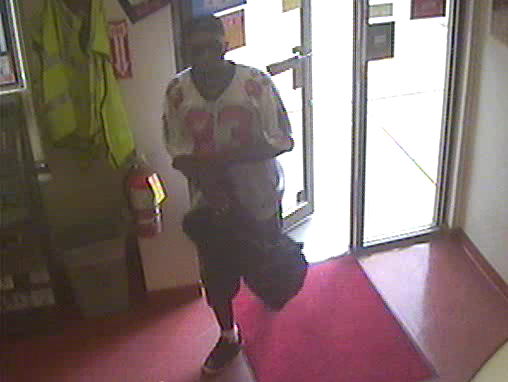 The subject is described as a black male, possibly 40’s in age, wearing a white Atlanta Falcons “Dwight 83” jersey.